One of the real benefits of using Azure for Serverless work is not having to think about scaling for the most part, but there are times when you want to ensure that your costs do not become too high. For example, function calls may be running reports against a SQL Database and too many calls could cause the performance to peak and require the database to be scaled up when, in reality, you are happier for the reports just to take a little longer to run. So how would you go about doing that? While you could build lots of complex logic into your function to add sleeps and pauses, which would require extensive testing and validation to make sure that messages did not become lost, there is something built into the Trigger for the Azure Function from Service Bus. This is set in your functions hosts.json file as a property under the Service Bus section. Setting the maxConcurrencyCalls will limit the number of concurrent functions that are run. So, if you only want two instances running at any one time, set the value to two. The short answer is yes. However, it is always good to test things for yourself which is what I did. 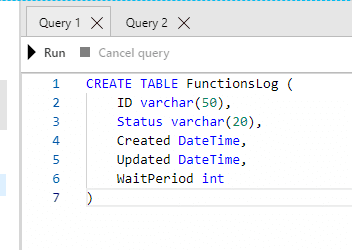 I set up a Function to be triggered from a queue that would write to an Azure SQL database table called FunctionsLog. At the start of the function, add an entry with a Guid sent in the message and set the status to Started. After a random wait period between 1 and 60 seconds, it would update the entry to say Completed with the updated date set. I then added a short test which would create 10 messages one after the other and sat back to see what would happen in the table. // Create a new message to send to the queue. // Write the body of the message to the console. // Send the message to the queue. Running the test, I saw two entries come in as Started, but no more initially. After about 40 seconds, I ran again and saw one completed and two in started. And it carried on well, with only ever two in Started status. From the Service Bus area in the Azure Portal, I could also see the 10 messages logged. To wrap up, what I thought may turn out to be a painful process requiring a lot of testing, turned out to be a simple case of setting a setting for the function. If you have different levels of priority then you could handle this with multiple queues and then either post straight to those queues depending on priority or writing to a single queue and pulling messages to another queue with a function based on the priority held in the message. Kevin McDonnell is a respected Senior Technical Architect at Ballard Chalmers. 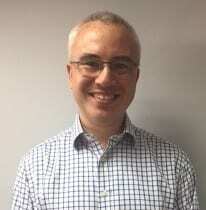 With a Master of Engineering (MEng), Engineering Science degree from the University of Oxford he specialises in .NET & Azure development and has a broad understanding of the wider Microsoft stack. He listens to what clients are looking to achieve and helps identify the best platform and solution to deliver on that. Kevin regularly blogs on Digital Workplace topics and is a regular contributor to the monthly #CollabTalk discussions on Twitter. Interested in learning more about Serverless? Check our blog series, “Modern Serverless Development” by Kevin McDonnell for an in-depth look at Serverless architecture.